Come monsoons and the waterfalls gush down in full speed cascading over the mighty edge of the mountains. The cold splash of water that comes on your face bringing a whiff of fresh air, rejuvenates you instantly. Playing in the waterfall as the water plummets down the rocky surface is a fun thing to do, but it can be very risky as well. 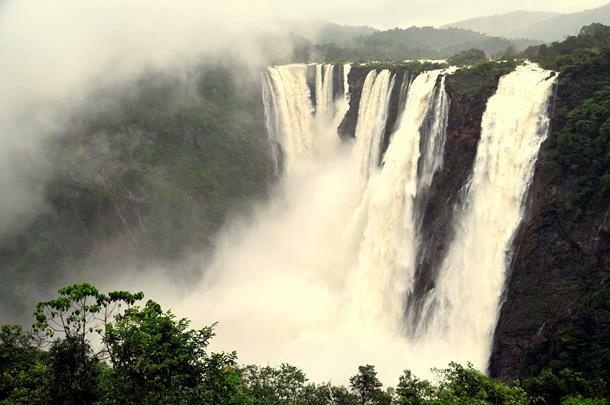 Here are India’s best waterfalls that get even better during the rainy season. Goa offers much more than just parties - it is home to a lush forest area, within which lies camouflaged a waterfall that is as white as milk. 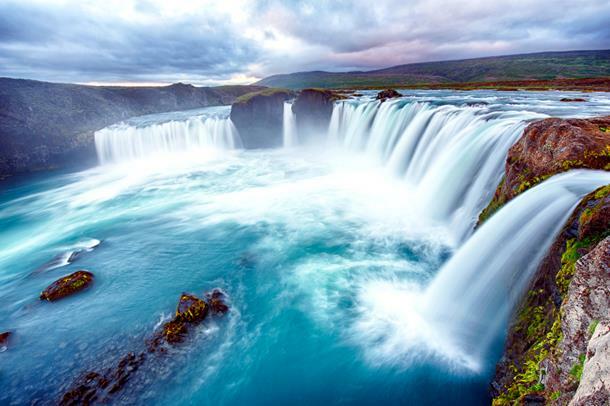 As the water tumbles down, the water translates from blue to white forming an illusion of milk pouring from it. The 4-tiered waterfall looks absolutely stunning in the pouring rains. 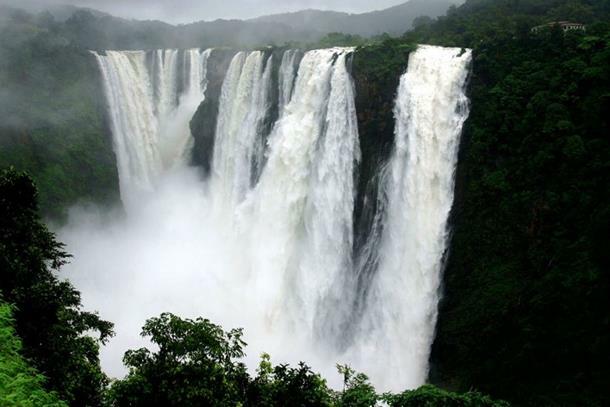 These falls situated 60kms from Panaji, are more than 300 meters in height and are the fifth largest in India. A big thanks to SRK-famed movie Chennai Express for showing India a side of Goa that secretly lies hidden. Next time on your Goa holiday, visit these falls to get an offbeat experience. 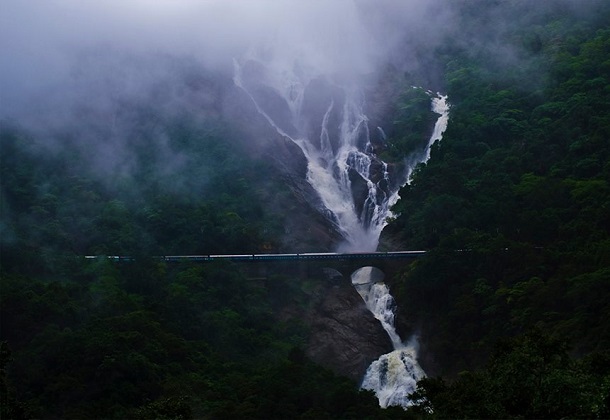 Nestled in the Shimoga district, Jog Waterfalls are the second largest plunge waterfalls in India. The massive girth of 290 meters and a height of 253 meters makes your visit to this falls breathtaking. 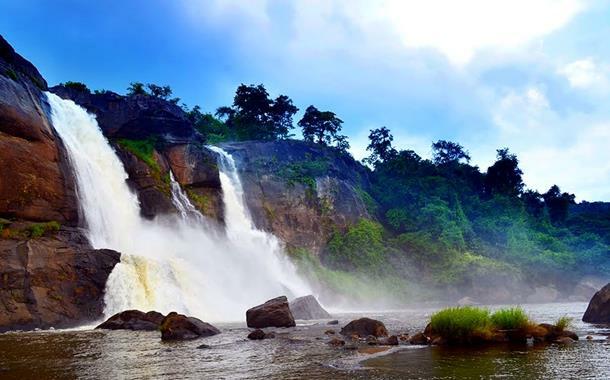 Called as the 'Niagra Falls of India', Athirappilly Waterfalls are a gorgeous sight to behold especially when the rains are pouring out all their love on Kerala. Located in the Thrissur district of Kerala, much famed for the elephant festival, these waterfalls are amazingly spectacular. The plunge waterfall plummeting from a height of 1100 meters are reminiscent of the Angel Falls in Venezuela. They may not be as grand, but they definitely have an interesting legend behind it that make your visit worth it. It is believed that a woman named Likai jumped from the cliff here after being fed up with her husband. Hence Noh-ka-Likai, meaning the ‘Jump-of-Ka-Likai’. 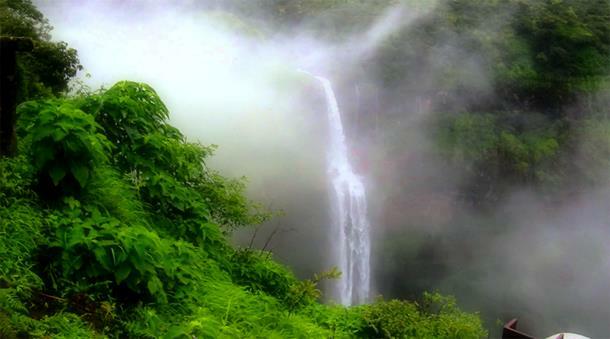 Close to the heart of Mumbai, in the Lonavala-Khandala valley, Kune Waterfalls gush down a beautiful mountain adorned with lush green vegetation. The water flows down from a height of 600 ft making it a splendour to watch during the rainy season.